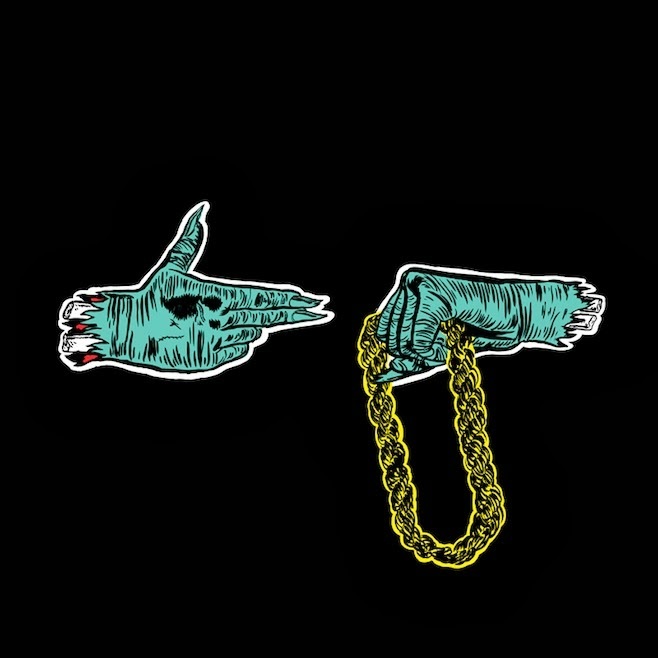 Run the Jewels is a brand new hip hop duo consisting of Killer Mike and El-P, two rappers who each brought out fantastic albums last year. There's been some really interesting, experimental, forward-thinking hip hop coming out in the last year or two: acts like Kid Cudi, Death Grips, Chance the Rapper, Odd Future, Billy Woods and Kendrick Lamar. I could go on name-dropping but I won’t bore you with my vast musical knowledge. It would be arrogant of me and arrogance really isn't my thing (In fact, I'm so damn modest that I impress myself sometimes. GOD, WHY AM I SO MODEST???). Anyhow, the point is that hip hop has definitely been receiving a boom in quality recently. Instrumentation seems to be getting more adventurous, lyrical content seems to be getting more varied and rappers seem to evolving their own styles as opposed to mimicking their idols. Personally, no hip hop album so far in the last two years has struck me as flawless. Until now. Killer Mike and EL-P it seems have made a record that pushes my every button. The flows are tight as a drum. The lyrics are gritty but devoid of excessive shock value, witty but not too serious, occasionally deep but not preachy. The beats meanwhile take influence from trap music - the masterful work of EL-P: simplistic, hard-hitting, sample-free and perfectly polished. I cannot get enough of this album. Buy this record. DO IT NOW!